For brunettes, or those with darker hair, Parrilli suggests combining cornstarch with unsweetened cocoa powder. If you’re a redhead, mix equal parts cornstarch with cinnamon powder. Blondes don’t need fancy add-ins. 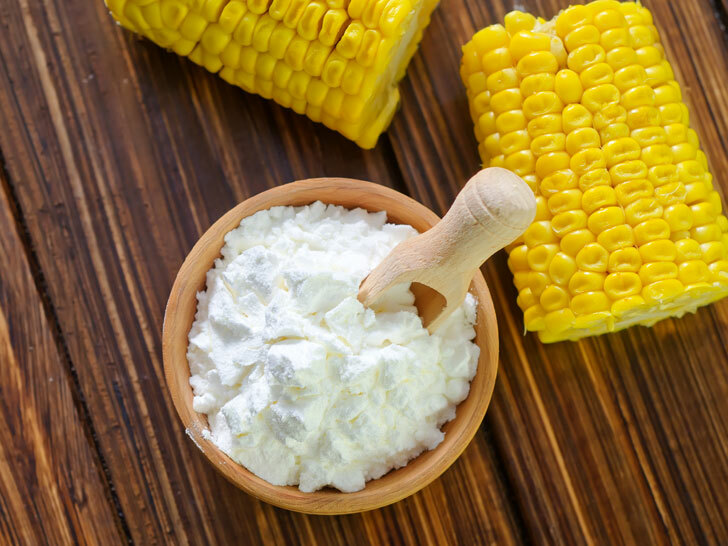 Just add a few drops of essential oil to your cornstarch for fragrance. To use, apply your concoction to your roots using a large cosmetics brush or salt shaker. After application, Parrilli recommends rubbing it in thoroughly so it can work its magic. “Dry shampoo made at home is fast-acting and your hair will feel, look, and smell amazing,” she says. Parrilli has just one caveat. Although dry shampoo can be a lifesaver for second- or third-day unwashed hair, it’s equally important to wash your scalp the old-fashioned way. “Cleansing the scalp keeps hair follicles stimulated for healthy hair growth,” she adds.